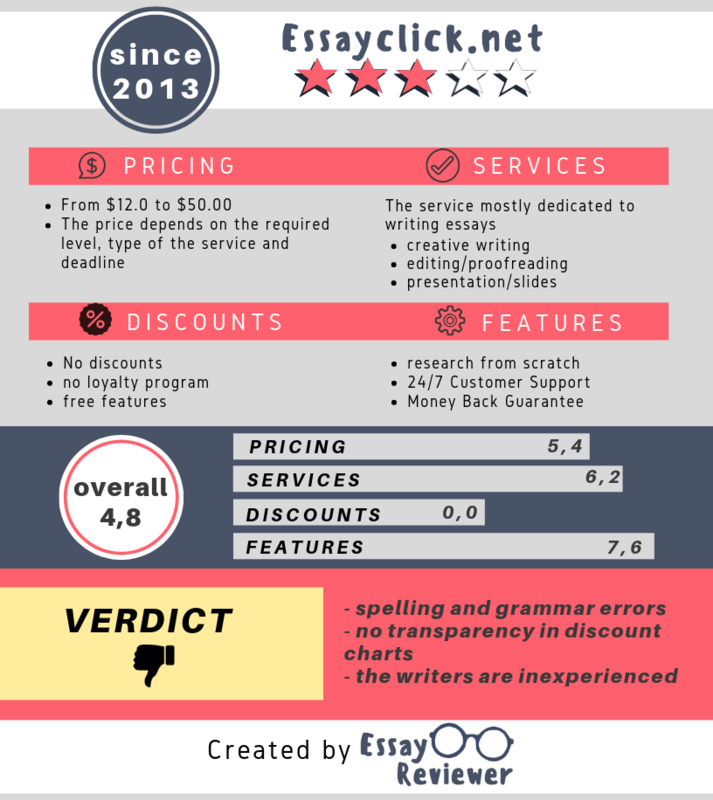 While there may be Essayclick reviews available online, we are completely dedicated to making truthful and detailed reviews of writing services. Students need quick and easy ways to digest information, which is why we are going to list all the pros and cons of this writing service. However, despite the sleek web design, there are more cons included than pros. There wasn’t a lot to investigate for this Essayclick.net.review when it comes to the services they offer. It’s very clear that this website is mostly dedicated to writing essays. While on the home page, we were intrigued by creative writing/editing/slides price generator. We assumed there would be a more extensive list of services regardless of the name of the services. However, there was neither a tab that led to their service, a paragraph dedicated to services or any kind of indication that they offer something other than essay writing. While essays are the most common types of papers students write, they aren’t always the most challenging, and definitely not the only type of paper students need assistance with. Therefore, it is a bit disappointing that in order to get help with, let’s say a movie review, you would essentially have to go to another writing service. The pricing on Essayclick is determined by the number of pages, deadline and the academic level. However, it’s not so obvious that the price can vary based on the type of paper you are requesting. For example, the number per page will significantly differ if it’s creative writing or proofreading and editing. The lowest price we could see was $12 and there wasn’t anything below this. To add to it all, there was no sign of any discounts at all. Most respectable writing companies will offer a discount for their loyal customers, and some will also offer discounts for their newest customers, but we were disappointed to see that there was no such thing available here. Taking into account that other writing companies who are quite distinguished and respected do offer discounts, not just for loyal customers but seasonal and special discounts all throughout the year, there’s no valid reason for a student to settle for such high prices, when you can get lower prices and much better quality somewhere else. Our Essayclick review focused on quality. This is what matters the most. If the quality is not high, no student will ever purchase from this website – not once or several times. We tested out their services, and ordered an essay for an English class. It was a simple ordering process, however, what we received back wasn’t at all satisfactory. While they claim to have the best and most experienced writers online, it seemed to us that their writers are only students. It seemed like students were writing for other students because the quality wasn’t something we could be proud of. In fact, if we were to turn in such paper to any University we wouldn’t be entirely sure that we would receive a passing grade. The writing was sloppy, the ideas were scattered, and there were spelling and grammar errors galore. The first chance we had to speak with the Essayclick.net customer service was when we wanted to know more about their discounts. Since some of the information about this was vague, we wanted to know more. The customer representative we spoke to, seemed unhappy to talk about this once we told him we weren’t customers yet, but just asking for more information. The second chance we got to speak with them is when we actually placed the order, and their story seemed to change completely. We were lucky enough to talk to the same customer representative and test our theory. We were, unfortunately right. Once you are actually a paying customer they will treat you much better. However, it was disappointing that we always had to wait for an answer for longer periods of time. We always seemed to be last in queue, and at the end of the way, we didn’t have time to sit around and wait for the customer representative to return to our conversation. A lot of faults and errors can deteriorate a reputation of a company, however when you are disappointed with their quality and customer care, this is definitely something that nobody can forget or forgive. We would never recommend such a writing service to any student who cares about integrity and wants to get the quality that they need and expect. They don’t have good customer service and don’t look after their returning customers well. On one occasion, the writer took a long time to finish the paper and as a result I was penalized financially and academically. Essay click delayed the investigation process so long and in the end said that they cannot issue a refund back to my card as the transaction was over 6 months old and would only give me store credit which I refused as I am not coming back. There are better services out there that look after their returning customers more. They are not clear to their clients about company policies. I have trusted them because they were very polite and the agents said that there is a 100% money back guarantee in case of failing. Before you pay they will all be very professional and chasing you all the time to submit the order. I received my mark 1 month after I got the essay from AssignmentMasters and it failed. I have got 48% when 50% is needed to pass. Of course, I asked for my money back but I was rejected. Apparently, you have to complain straight away after you get your paper from the writer. Before I proceeded the payment I have been told by an agent that they have 100% Money back guarantee which is not true. They should have “I agree to terms and conditions” button before the payment proceeds. But they don`t. They have unclear Terms and Conditions at the bottom of the page to rely on after they broke their clients’ trust. The agents do not even try to help. After I failed with an important assignment the money I gave them is my least problem but they can at least make an effort to make it up for their clients. 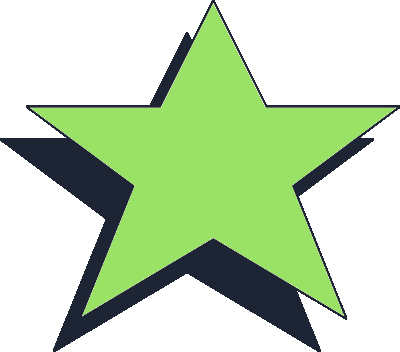 It looks like many people are happy with their service and I do not like to give bad reviews but I am very disappointed and I do not recommend them to anyone. You can not trust someone who doesn`t keep their word and don`t take responsibility for their actions.